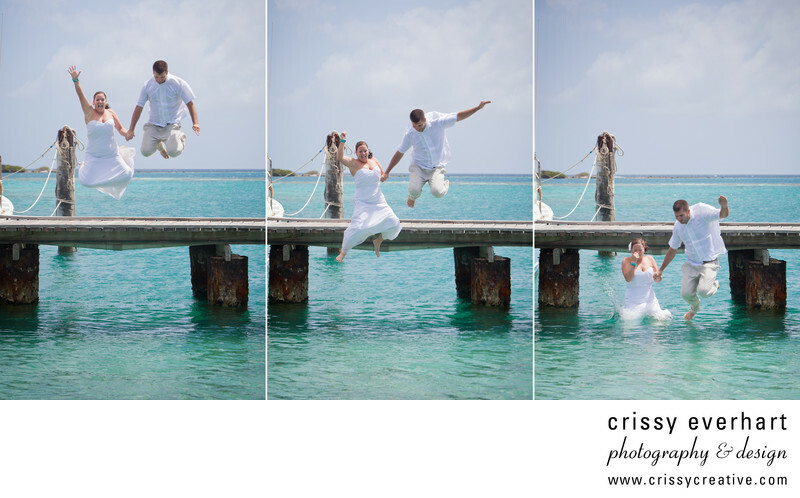 Aruba Destination wedding - Jumping Off the Dock! This bride and groom did a day after session at their destination wedding in Aruba. We scouted a location for them to jump in, and at the end of the session they took the plunge! I only had one take to get it right, and it worked out. This is a photo I always wanted to shoot and I was super excited when this couple told me of their plans to jump in the water the day after the wedding! The wedding was held at the Renaissance in Aruba and featured gorgeous clear waters and sunny blue skies every day.